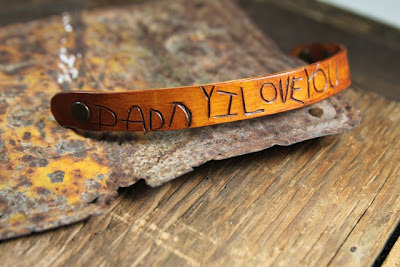 If you are looking for a great homemade gift for Dad this Father's Day, Ashley from Lil Blue Boo has a great tutorial for this carved leather bracelet. It is extra special because you can use your little ones handwriting to make it extra personalized and special. that is very cute! i hope there is one for mommy too!